The Wimmera region of Western Victoria is the heartland of wheat and grain production, these idyllic conditions for traditional crops has seen the area emerge as Australia’s premier lands for growing lentils. Mount Zero has been working with local Wimmera farmers to encourage the growth of premium lentil and grain varieties such as freekeh, farro and barley. 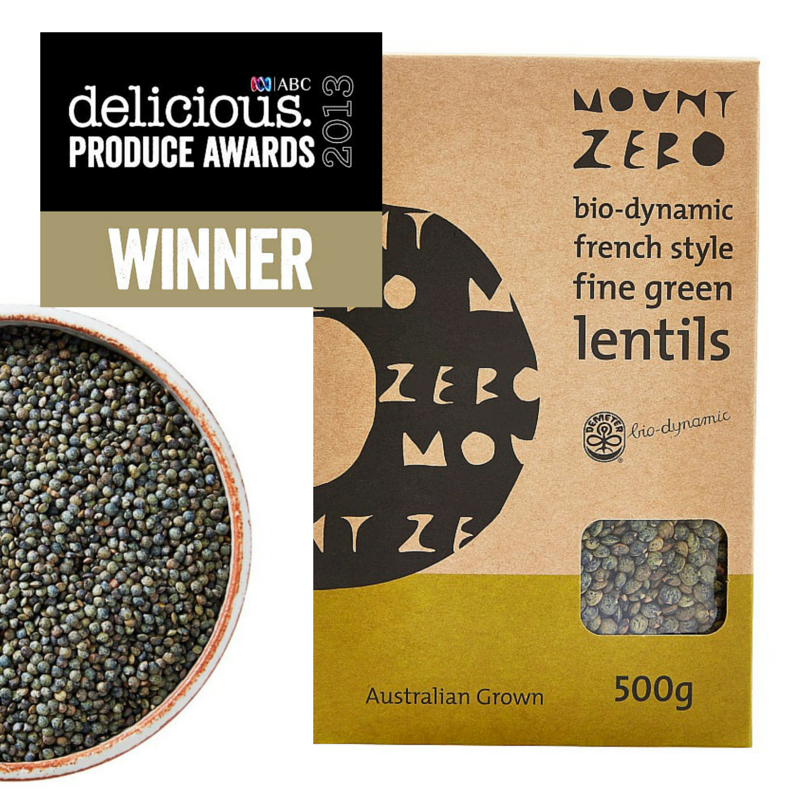 At the 2013 delicious Produce Awards our bio-dynamic French Green Lentils was given the nod by a panel of Australia's best foodies. In picking up the gong for the From the earth - Artisan category, the judges all agreed that these little green jewels were an 'earthly taste delight'. Originating from Puy in France, these lentils grow exceptionally well in the soils of the Wimmera, and are a favourite amongst our restaurant customers. They are renowned for their deep nutty flavour and for holding their shape when cooked. A great companion to fetta, goats cheese, mint, peas, tomatoes and game.